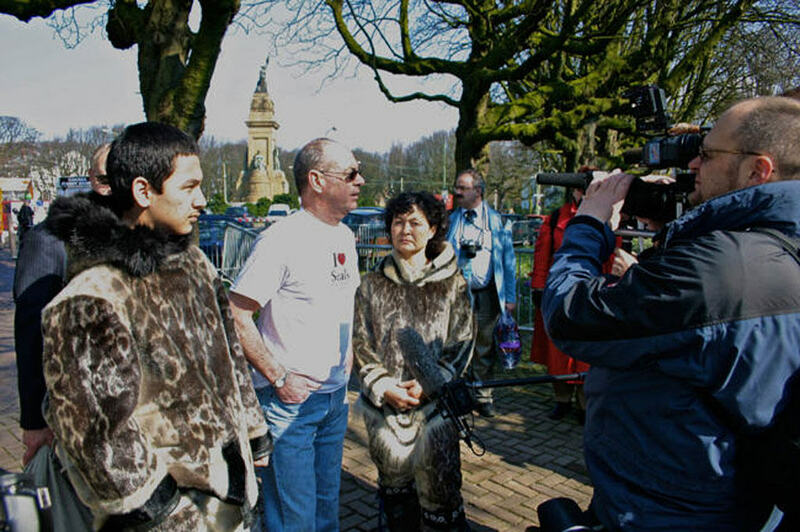 Aagu Peter (left), Jim Winter (centre) and Aagu's mother Aaju (right) represent sealers at an anti-sealing protest outside the Canadian embassy in the Hague in March 2007. As Jim recalled, the media were more interested in his group than in the protesters. Jim Winter was born in St. John’s, Newfoundland and Labrador. He has worked as a journalist with both CBC and SRC, in addition to doing freelance work for many other media organisations. In 1978 he won the Association of Canadian Radio and Television Artists (ACTRA) award – Best writer, documentary. He was the founding president of the Canadian Sealers Association. Aaju Peter is a lawyer and Inuk clothing designer, and in 2011 was named a member of the Order of Canada for her work promoting and preserving Inuit culture. Sealing industry is much more than sealers. May 31, 2017. EU sealing policy is hypocritical, anti-democratic. July 23, 2015.